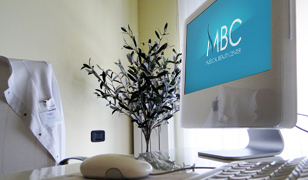 MBC has a team of highly renowned specialists, headed by Dr. Marija Balkovic, M.D. 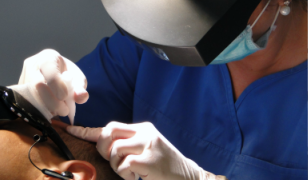 in the field of plastic, reconstructive and aesthetic surgery. They have extensive experience and impressive results not only in Serbia but in the world. They are here with only one goal in mind: to offer you the best possible service! As in previous years, Dr. Marija Balkovic was one of the participants in the World Congress of Aesthetic and Anti-Aging Medicine in Monaco. The MBC Clinic with Dr. Marija Balkovic is the leader in hair transplantation according to the assessment of a specialized magazine for aesthetic and plastic surgery "Estetika". The Congress had gathered the world's best plastic surgeons and plastic surgeons to share their knowledge and best practices with other participants. The congress brought together top experts who presented their results and exchanged experiences. You explained to me that I am not the best candidate for hair transplant because my donor region doesn’t have enough capacity for best result, I am still glad that I convinced you to do the hair transplant. My hair is not very thick even now but there is a huge difference in my appearance for the better. I can’t never thank you and your team enough. After the results of the second intervention, I started to live again. My problem was specific, but you did everything you could to help me. Best regard to all, Kosta B. My thanks to Dr. Marija and her team. I am very pleased with high professional standard and serious approach and especially with results after the treatment that was done with so much attention. I would like to especially emphasise my follow up appointment that truly shows how much they are devoted and respect their patients. I would enjoy another visit to Belgrade where you did everything to make me feel at home. Thanks MBC! Thank you so much for everything! I am so happy and can’t believe that I postponed the procedure for so long because I thought it would hurt! It didn’t hurt at all, and it looks perfect even though it is only five days since the intervention. You can barely notice that any work was done in the donor region. Best regards from Subotica, Yours M.P. I came to you because of a referral.... professional, responsible, full of understanding. And I can’t even say how happy I am with my new hair and looks! Call me if you are travelling to Prague.